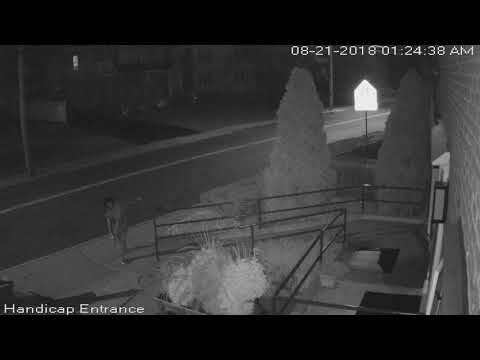 Police are on the hunt for a man who for some reason has been destroying flowers and plants outside a Fairfield County funeral home. 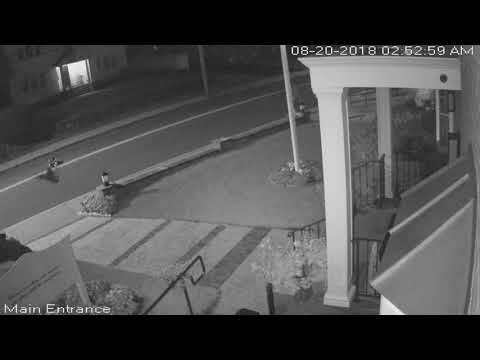 The department, which has released two videos, said the incidents took place on Aug. 20 and Aug. 21 in front of Coxe and Graziano Funeral Home on Hamilton Avenue damaging plants and throwing potted flowers into the street, causing a mess in the roadway. Police aren't sure why the medium-build man who on the video has a beard, and a tattoo on his shoulder, has a problem with the funeral home. The damages cost more than several hundred dollars. Anyone with information is asked to contact the Greenwich Police Department Tip Line at 203-22-3333 or tips@greenwichct.org .